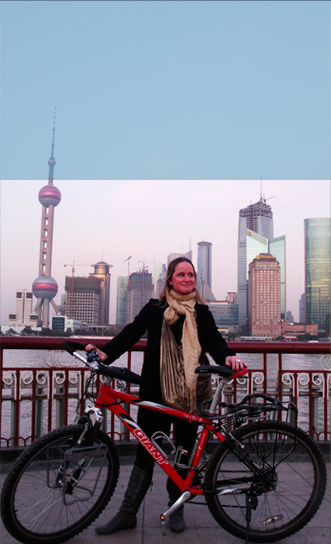 China Cycle Tours is a Shanghai and Suzhou based bicycle tourism company specializing in guided city and countryside biking tours. 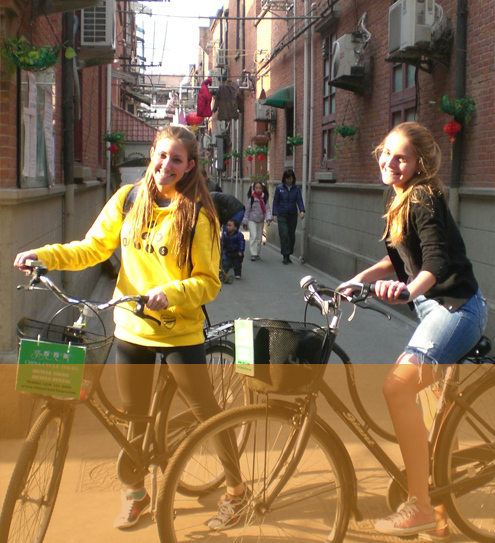 We operate carefully chosen cycling routes both in Shanghai and Suzhou, and in the surrounding mountains and countryside. We also do customized tours if you are interested in travelling off the beaten path.We are well travelled and love to share the passion for cycling with other people. Just show up in one of our trips and we’ll handle the rest! Safety is always a priority and that`s why our bicycle tours follow bike lanes. Ride safely almost exclusively on bikes paths and less-traveled roads. All tours run rain or shine, and have rain gear and gloves for you. On cold days, we provide free hot tea after the tour. 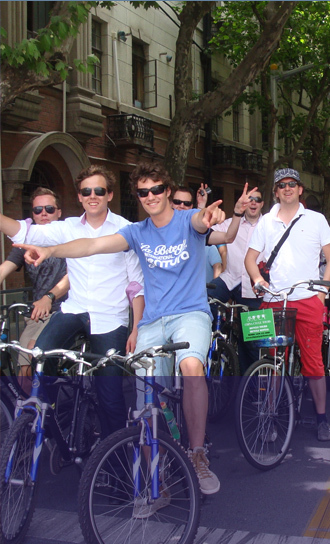 China Cycle Tours offers the combination of presentation and activities to achieve the team building result. 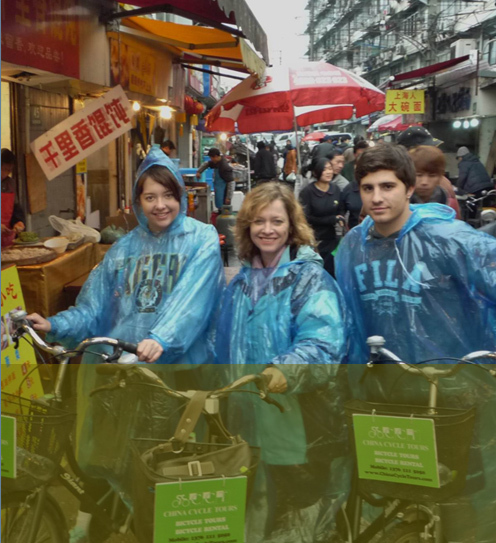 Our gently paced city bicycle tours in Shanghai and Suzhou are a fun and healthy way for you to explore the cities. 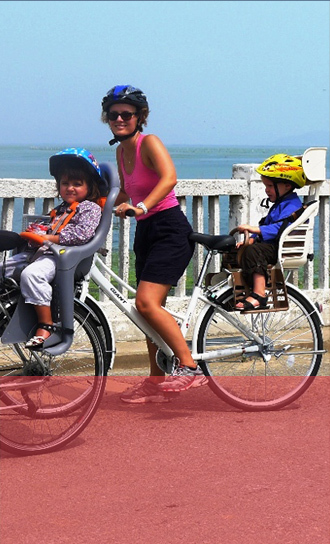 We design family bike tours to focuses on flexibility, so it can be tailored for your specific needs as much as possible. We offer high-quality, unparalleled adventures allowing people to explore China`s urban and natural regions in unique and exciting ways. Our international team of English-Chinese speaking, experienced adventure tour guides and travel professionals is always enthusiastic to help you plan and execute adventures that meet your needs and exceed your wildest dreams. · Tour groups of any size,form 1 person up. China Cycle Tours is a great company that I would be happy to use again in the future. They provide above average bicycles for rent at good rates and will even deliver the bicycle to your hotel. In addition, CCT offers excellent guided tours so that you can enjoy yourself without worrying about navigating the busy city. Overall, I am very happy with CCT and have already recommended them to my friends.